Romania could be headed for its first female prime minister, an economist who is a member of Romania's small Muslim and Turkish community. Liviu Dragnea, chairman of Romania's Social Democratic party, which won the parliamentary election, proposed Wednesday that Sevil Shhaideh take the post of prime minister. The announcement was a surprise because her name is not widely known in Romania. Shhaideh, 52, is a member of the Social Democratic Party but did not run in the Dec. 1 elections. She was minister for regional development for six months in 2015, and is currently a senior official in the regional development ministry. President Klaus Iohannis is consulting with political leaders before nominating a prime minister, who Parliament needs to approve. If approved by lawmakers, she would also become the country's first Muslim prime minister. Dragnea is banned from being premier because he has a conviction for election fraud. On Wednesday, Dragnea called his April 2016 conviction "unjust" and said the law that stops him being premier "so far" was "profoundly unconstitutional." The new Parliament could vote to change the 2001 law which bans anyone with a conviction of holding a ministerial post. Later Wednesday, Dragnea was elected speaker of Parliament's Chamber of Deputies while the former Senate speaker, Calin Popescu Tariceanu, was re-elected to the post. Dragnea, who continues as head of the party, is expected to have significant influence over a government headed by Shhaideh. 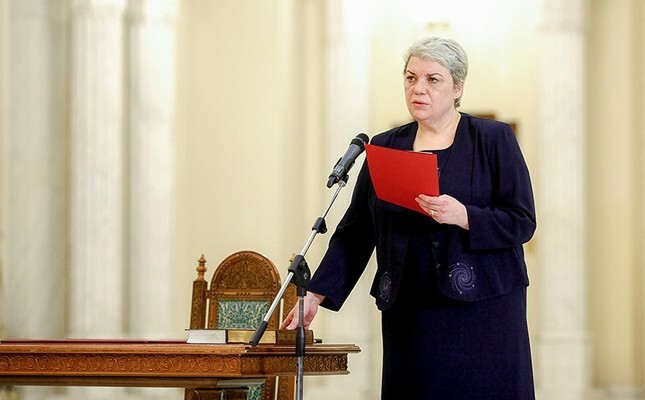 "If appointed, she would be prime minister, but the political responsibility stays with me first of all," Dragnea said, praising her for her knowledge of public administration and for being hard-working and loyal. The left-leaning Social Democrats easily won the Dec. 11 parliamentary elections, but did not secure a majority and will govern with a minority partner. Shhaideh is also a relative of famous Turkish historian Kemal Karpat, who is a native of eastern Romanian town of Babadag.